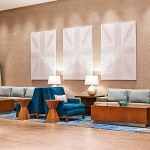 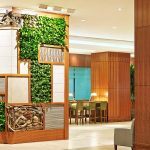 C+TC Design Studio’s renovation of the Westin San Diego blends California’s natural beauty with that of the adjacent waterfront. 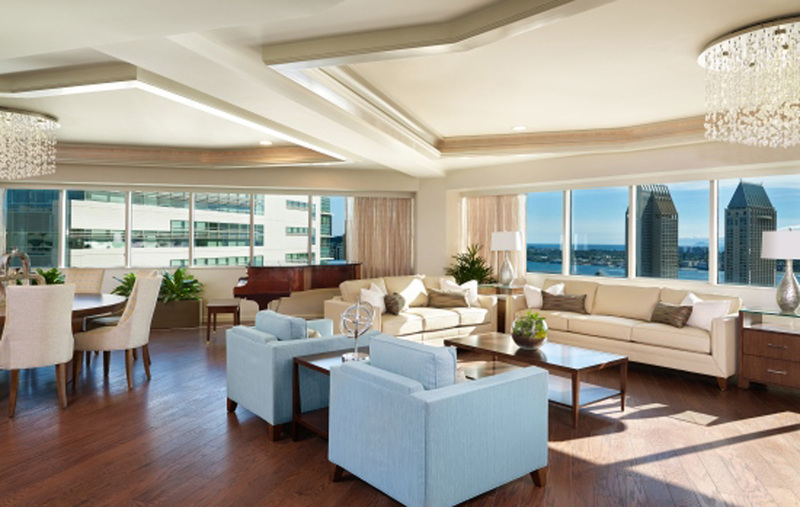 The famous bay’s glistening waters inspired the property’s color palette of laid-back neutrals and liquid blues and greens. 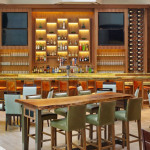 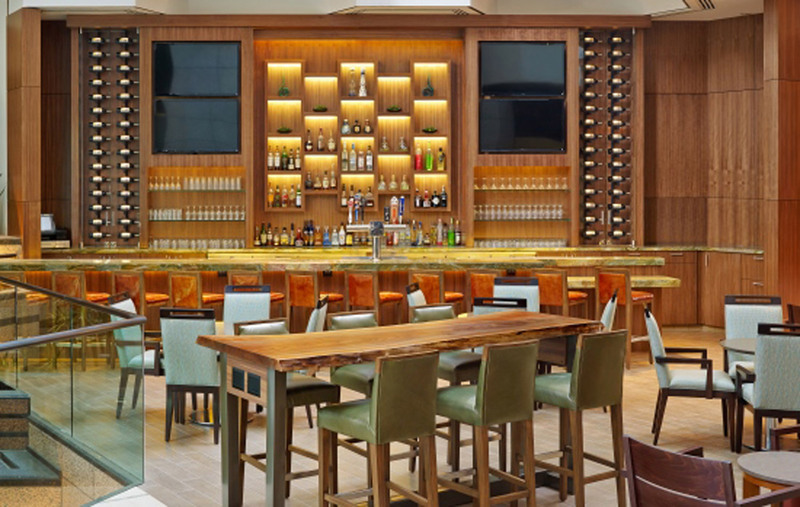 C+TC designed a holistic renovation – including 436 guest rooms, public areas, meeting spaces and a fitness center – that appeals to the casual local scene as well as sophisticated attorney clientele the hotel attracts from the nearby courthouse. 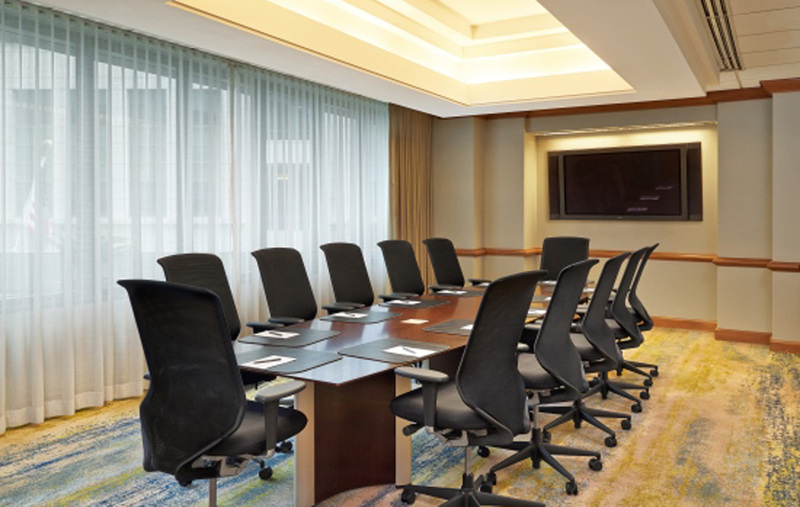 For this market, the hotel boasts 2,000 square-feet of well-appointed legal war rooms. 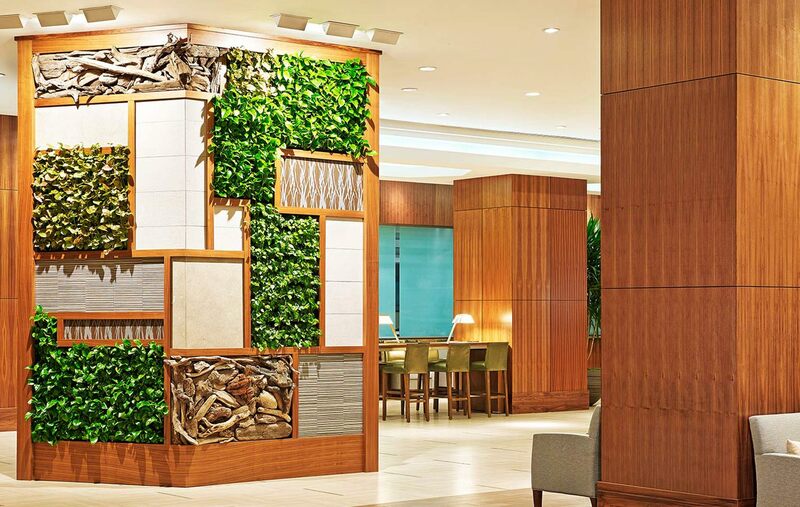 A modern lobby with a unique nature wall with contrasting scenes. 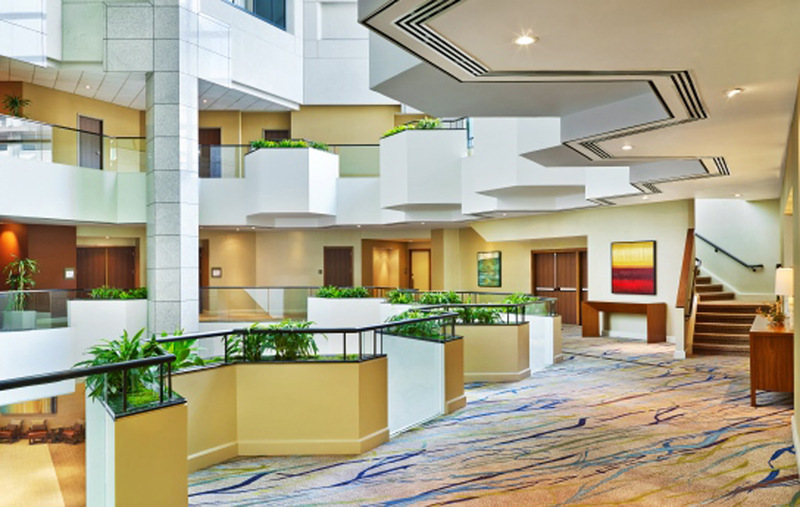 A beautiful lobby with lush modern architecture. 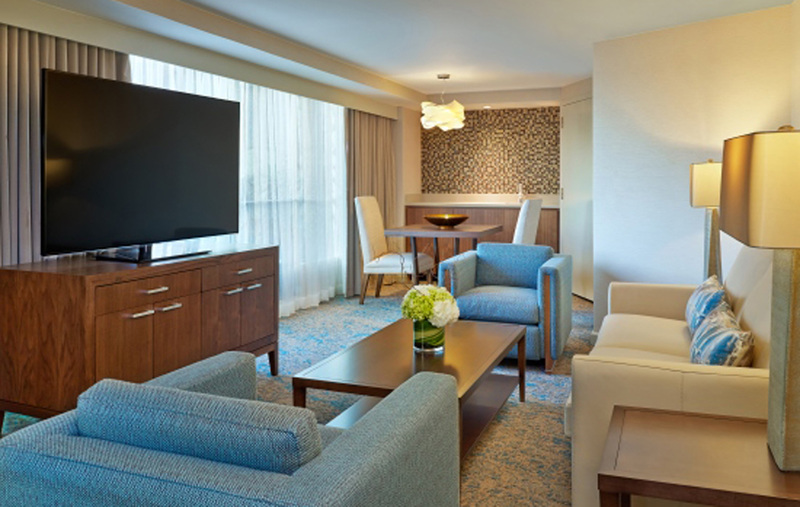 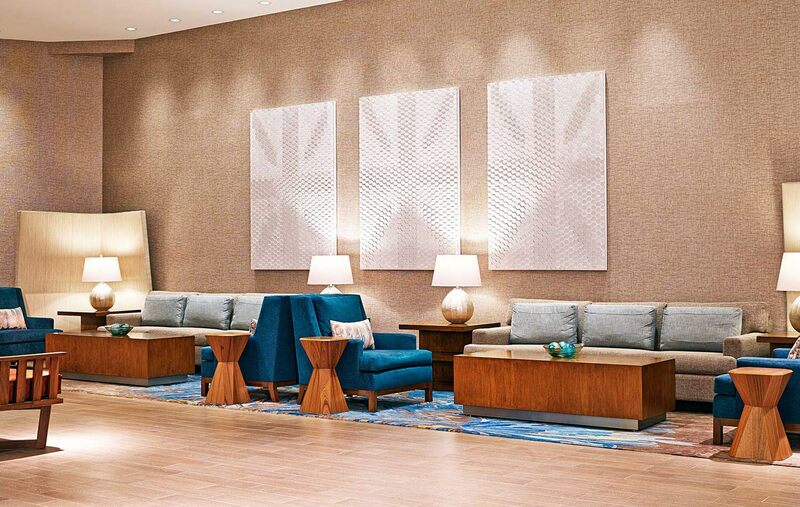 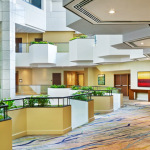 A lobby room at the Westin in San Diego with multiple lounge areas. 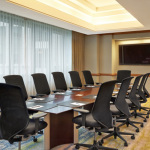 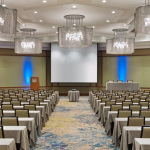 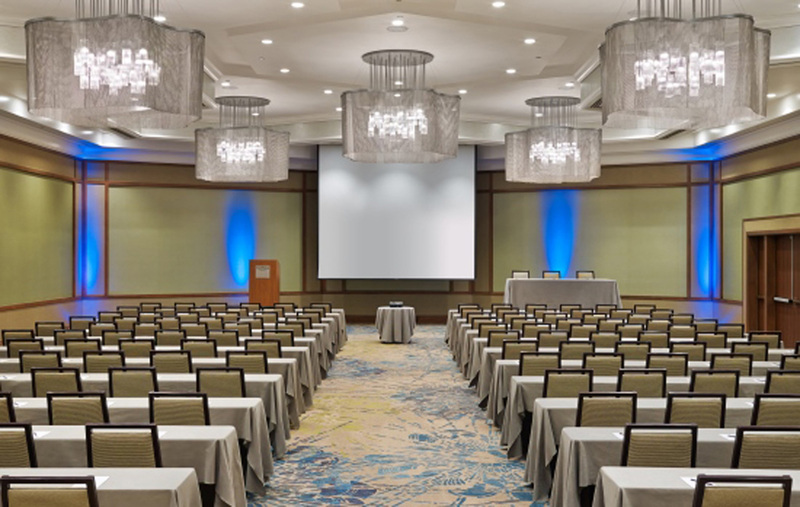 The conference room at the Westin in San Diego. 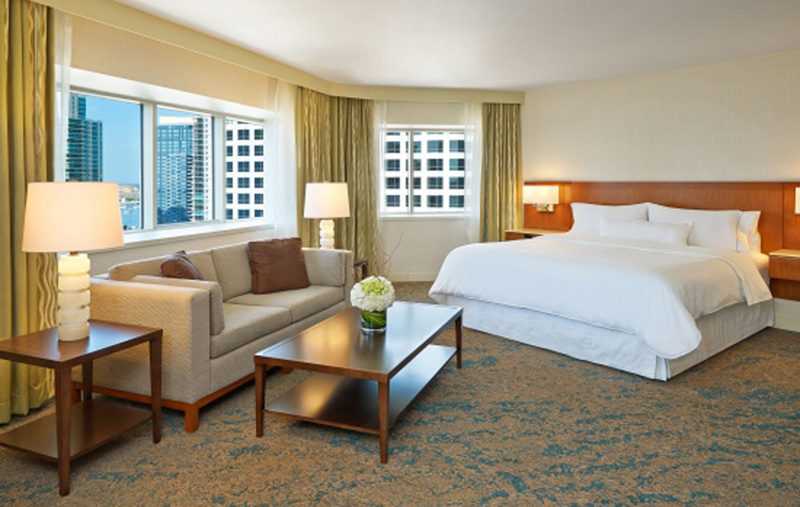 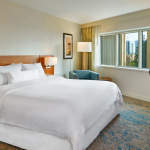 A bedroom at the Westin in San Diego. 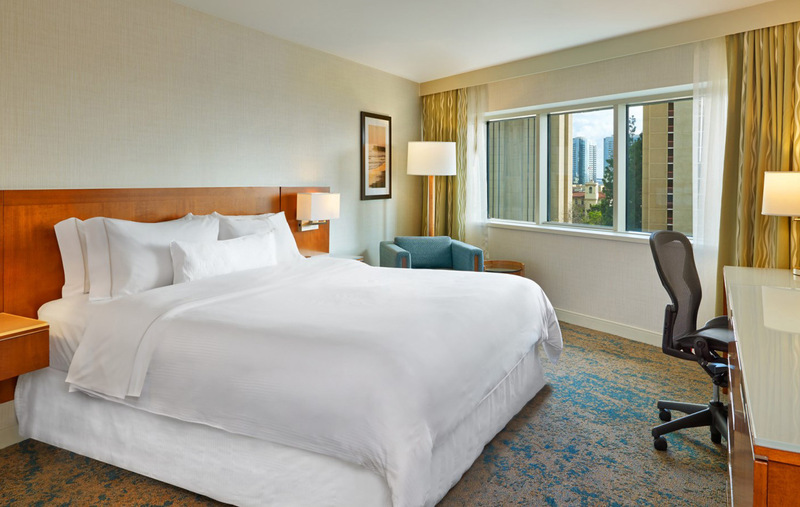 A hotel bedroom at the Westin in San Diego.